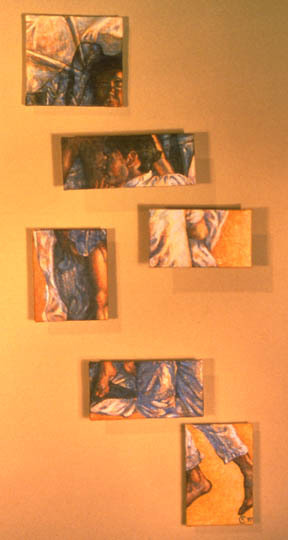 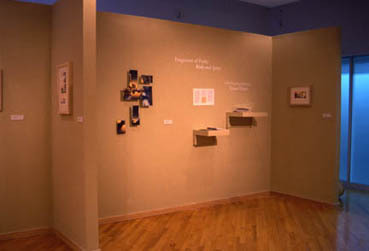 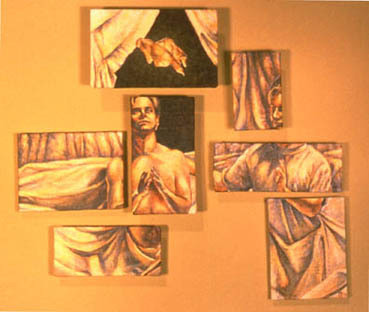 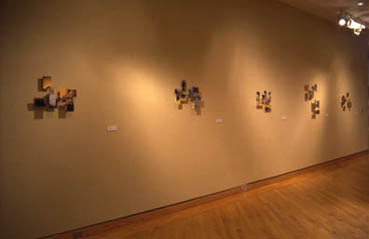 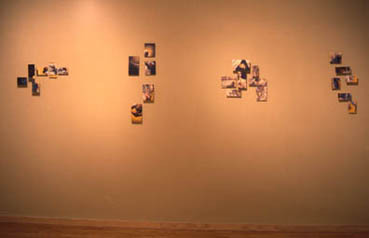 Below are images from Clutter's MFA exhibition--Fragments of Faith: Body and Spirit--at the Dorothy Uber Bryan Gallery at Bowling Green State University in Bowling Green, OH in April 1997. 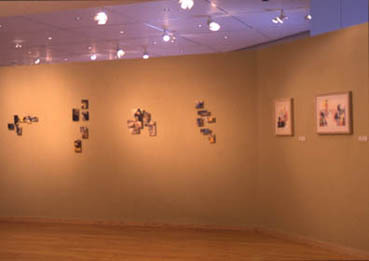 While this show also included several framed multiple drop monotypes based on the same images as the paintings shown, it was mainly composed of these multi-panel paintings. 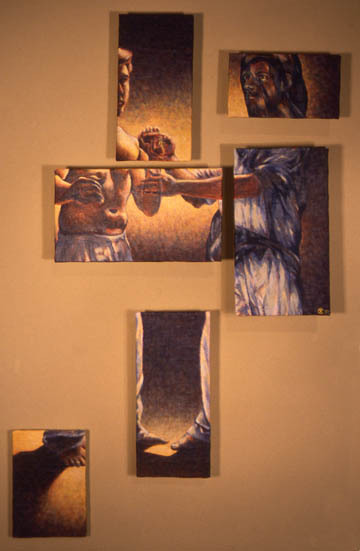 Each image explored a narrative based on a moment of decision and the faithfullness or faithlessness of the protagonist figure depicted. 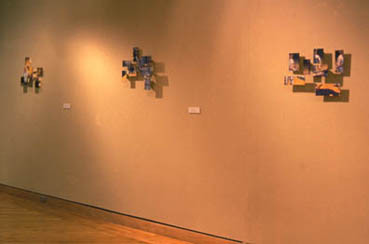 The panels were each "floated" off the walls with spacers of various depths. 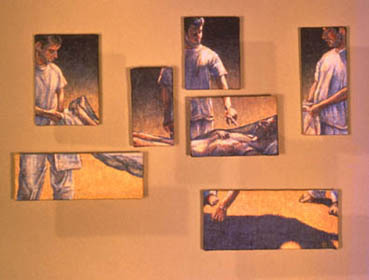 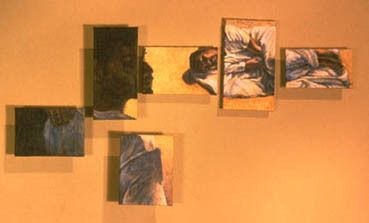 left: Don't Be Alarmed--1997, Oil on Linen Panels, 22 1/2" x 10" x 2 1/4"
right: I Am He--1996, Oil on Linen Panels, 30 1/2" x 10 3/4" x 2 1/8"
below: In This Way--'97, Oil on Linen Panels, 12" x 21 1/2" x 3"
right: Let It Be So Now--1997, Oil on Linen Panels, 13 1/2" x 17" x 2 1/4"
below: Liar--1997, Oil on Linen Panels, 19 1/4" x 13" x 2"
right: Stop Doubting--1997, Oil on Linen Panels, 29" x 18" x 2 3/4"